NEW GUIDE: John Park’s UFO Flying Saucer with Circuit Playground Express @adafruit @johnedgarpark « Adafruit Industries – Makers, hackers, artists, designers and engineers! 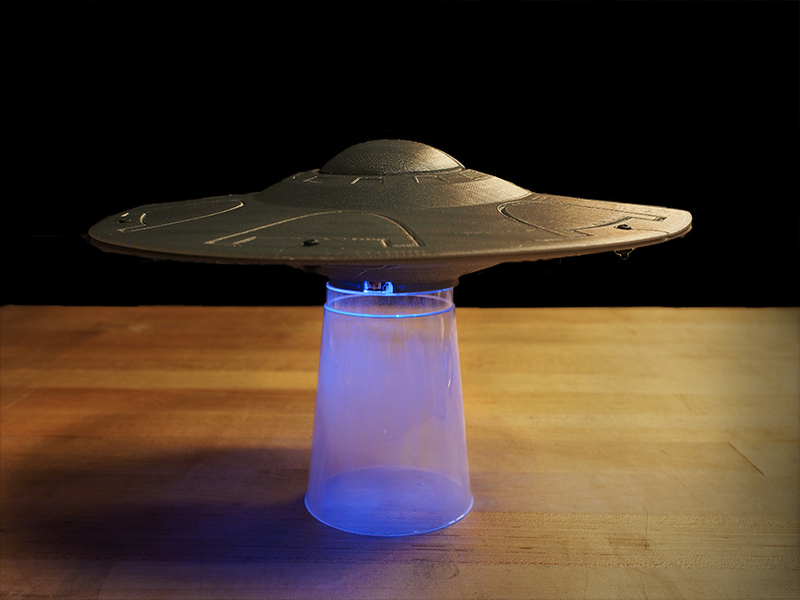 Make your own UFO Flying Saucer with Circuit Playground Express with this new guide! It’s perfect for adding visual effects to your homemade sci-fi movies, a la Ed Wood. By embedding a Circuit Playground Express in a UFO made from a kit, or 3D printing, or even craft supplies, you can create an interactive model fit for filming cheesy 1950s sci-fi scenes! Use the accelerometer tilt to control lights and sound on this fun flying saucer made with CircuitPython! Everything you need for interactive, tilt-reactive lights and sounds is built onto the Circuit Playground Express, and is simple to program with CircuitPython. This is one occasion where this customer wants more blinky lights added.